This is the unfinished, watercolour demonstration I painted yesterday for pupils at my local school in Sleights. This is the completed painting. 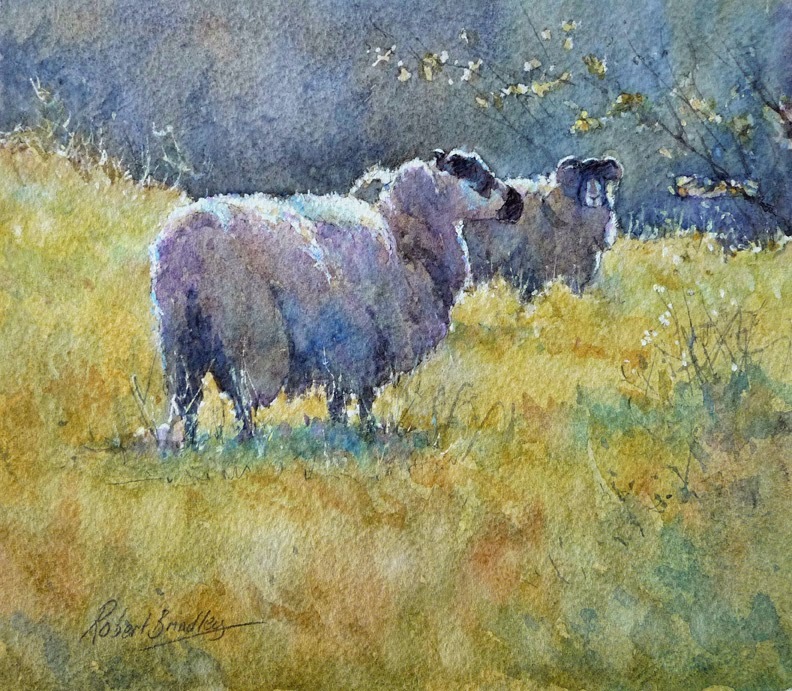 I added the branches on the background tree, further grasses against the dark background and sheep, together with darker grasses in the foreground creating more texture and interest. 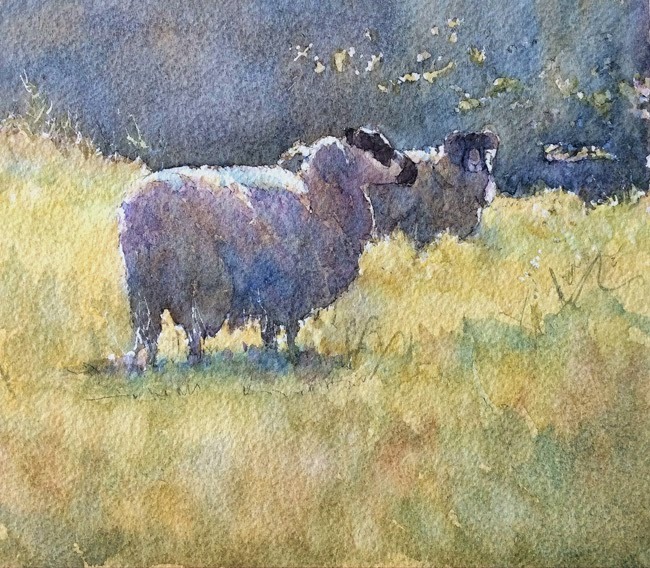 Finally I used white Gouache paint to enhance the highlights around both sheep.